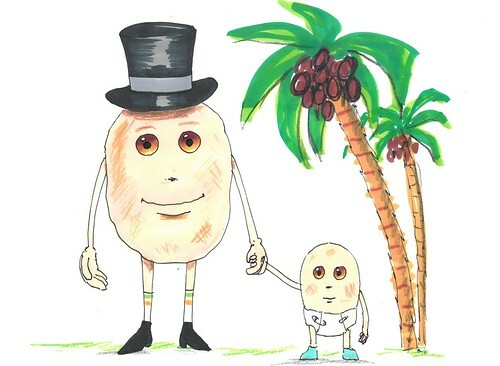 Bob the Potato and his best friend, Baby Potato, had been stranded on the island of Ireland. They were living on a farm, with a farmer, but they wanted to run away. They tried to climb a tree in Dublin to collect coconuts but Baby Potato fell and luckily Bob caught him. They decided to play a giant game of hide and seek with the farmer. The farmer wanted to catch them to gobble them up. The farmer found them finally. 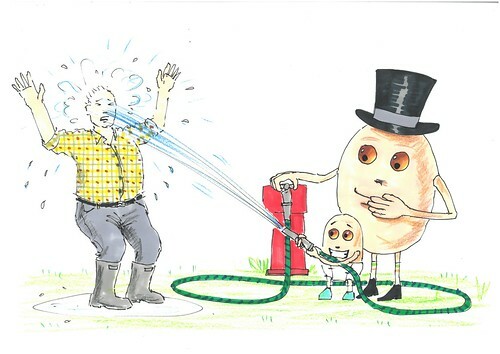 Bob the Potato and Baby Potato picked up a hose.